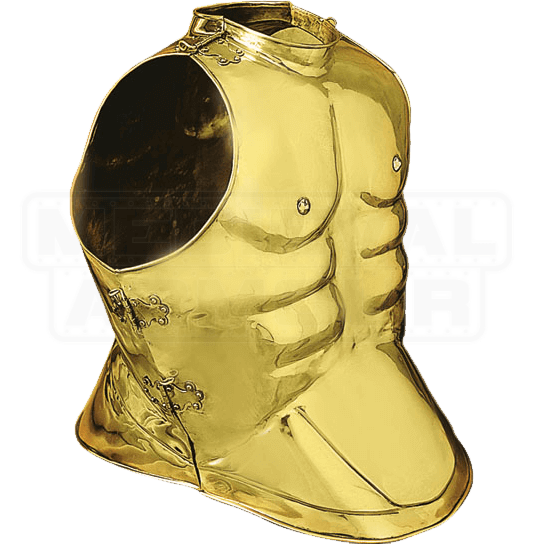 This suit of Horseman Brass Muscle Armor is similar in many ways to the classic Greek muscle armor, although it features one key difference that sets it apart. This armor has been altered to fit the needs of a Greek warrior riding on horseback. Like the classic Greek muscle cuirass, this armour features the sculpted features of a well-defined male torso. Unlike the typical muscle armour, though, lower portion of the front and back of the armor are widened, having a somewhat extended look. The purpose of this is two-fold. First it allows the warrior a bit more range of movement when they are mounted on a horse, and second, the armors widened bottom could allow it to sit around the front and back of the saddle, helping to secure a warrior onto his mount. 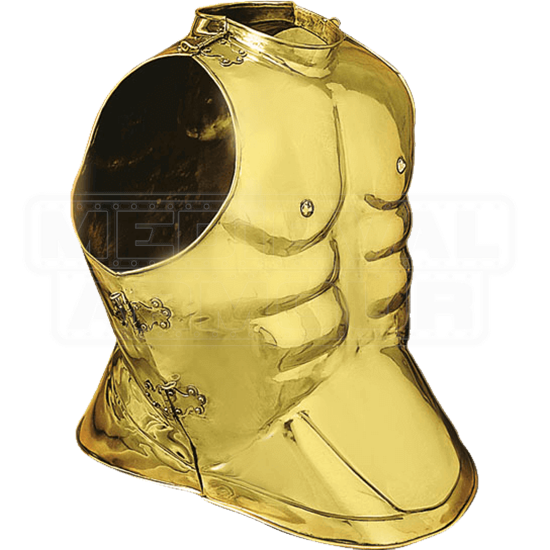 This armour is made from quality brass metal and features an attractive polished brass finish. The breastplate fashions to the back plate using brass hinges on the shoulders and sides of the armour. With its specialized and unique appearance, the Horseman Brass Muscle Armor is a fantastic suit of armour that would make a great addition to any collectors arsenal of historical arms and armors.